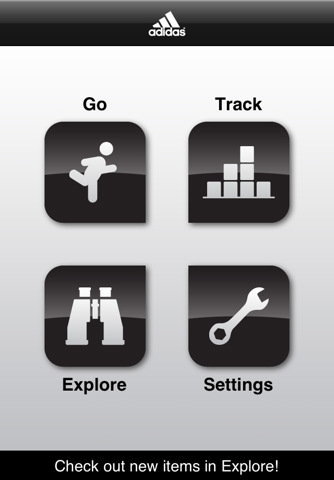 New Aerobic Training Tool For Squash Coaches: miCoach iPhone App! Regular readers will know that I have been singing the praises of CorePerformance.com for squash strength training since I learned about them while doing the rehab for my hip replacement. 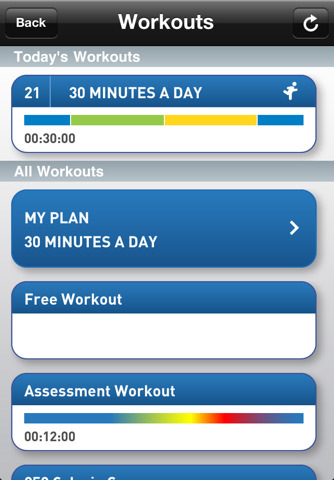 One of the strengths of Core Performance is that if you sign-up as a member ($9.99/month) you can download daily, somewhat individualized workouts to your iPhone – which always includes an “energy systems” (their term for aerobic training) component – usually not that long (e.g., 14 minutes). Now Core Performance has teamed with adidas to develop an aerobic training tool (free iPhone App and website) called miCoach. Although the probable goal of adidas is to get consumers to purchase a $139 Pacer which includes a heart rate monitor and stride counter, I think the real value for squash coaches are the well designed and neatly packaged training plans – which do not require a purchase. Web site registration (which I just completed) and the app is free. There are no plans for squash so I would recommend the tennis or soccer plans – slight edge to the tennis as being more specific to our PAR modern attacking game.